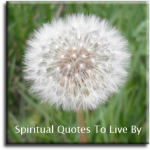 The quotes on this page are all from sources and authors with surnames beginning with G through to J. Look at the sparrows, they do not know what they will do in the next moment. Let us literally live from moment to moment. We often become what we believe ourselves to be. If I believe I cannot do something, it makes me incapable of doing it. When I believe I can, I acquire the ability to do it, even if I didn't have it in the beginning. As we learn to see ourselves in a new Light... we see others in a new Light as well. The people we are in relationships with are always a mirror, reflecting our own beliefs, and simultaneously we are mirrors reflecting their beliefs. So relationships is one the most powerful tools for growth... if we look honestly at our relationships, we can see so much about how we have created them. We will discover the nature of our particular genius when we stop trying to conform to our own or to other peoples’ models, learn to be ourselves, and allow our natural channel to open. 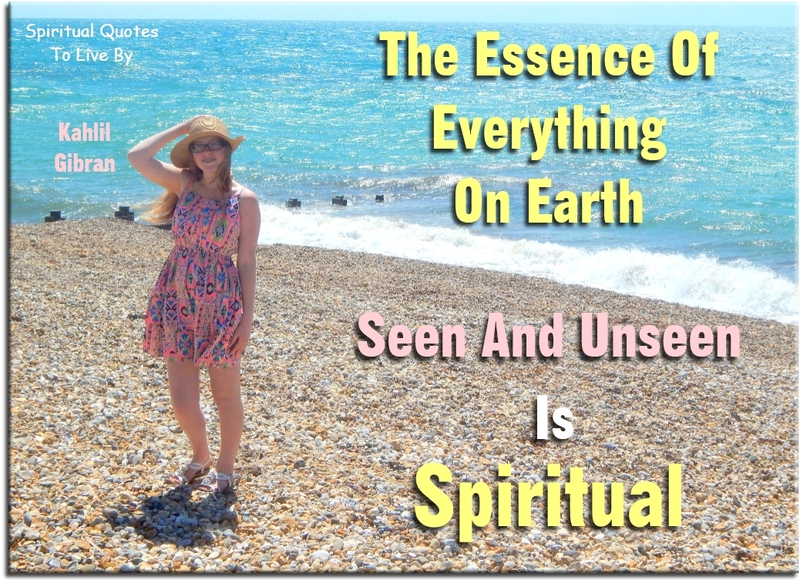 The essence of everything on Earth, seen and unseen, is spiritual. Become aware of what you are thinking and you will recognize a law between your mood and your surrounding circumstances. Believe that you are what you want to be. Command any idea to clothe itself in form. If you will assume your desire and live there as though it were true, no power on Earth can stop it from becoming a fact. Imagine something and God is acting. 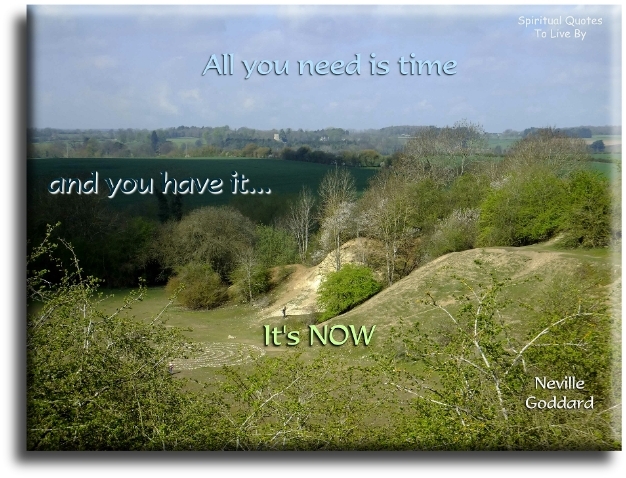 The difference between FEELING yourself in action, here and now, and visualizing yourself in action, as though you were on a motion-picture screen, is the difference between success and failure. The great secret is a controlled imagination and a well-sustained attention, firmly and repeatedly focused on the object to be accomplished. The law operates by faith. If you believe, no effort is necessary to see the fulfillment of your every desire. There is no limit to your creative power. There is nothing more important than developing your imagination to transform your life from the inside world of your thoughts and feelings to the outside world of your results and manifestations. Where knowledge ends... feeling and imagination begin. You believe in God? Believe also in your imagination. The moment one definitely commits oneself, the Providence moves too. All sorts of things occur to help one that would never otherwise have occurred... unforeseen incidents, meetings, and material assistance, which no man could have dreamed would have come his way. What chance gathers, she easily scatters. A great person attracts people and knows how to hold them together. Change your thoughts and your focus and you can literally change your world. Physicists over the past one hundred years have discovered that the field connects all of us, and that the reason we control our lives is because every thought we have is an energy wave that affects everything in the Universe. Something extraordinarily epic is going to happen to me today. The Universe is limitless, abundant and strangely accommodating. There is an invisible energy force or field of infinite possibilities. You are connected to everything and everyone else in the Universe. You impact the field and draw from it, according to your beliefs and expectations. Your every thought always affects physical reality. Your thoughts and consciousness provide the scaffolding for your physical body. Your thoughts are magic. Not one of them goes unheeded by the Universe. Whatever it is you think and feel the great Universal energy stands up and says, "I second it." He started to sing as he tackled the thing that couldn’t be done, and he did it. The Law of Attraction or the Law of Love...they are one and the same. Unless we learn from history, we are destined to repeat it. This is no longer merely an academic exercise, but may contain our worlds fate and our destiny. Because you are alive... Everything is possible. Miracles never cease to amaze me. I expect them, but their consistent arrival is always delightful to experience. I’m a big believer that your word is your wand. If the brain is the radio’s receiver then the heart is the dial tuning the radio to the frequency of your choice. You are creating your reality AND reality is creating you. It is only by following your deepest instinct that you can lead a rich life. In a Universe where 'like goes to like' and 'birds of a feather fly together,' we attract to us that which we emanate. In this interconnected Universe, every improvement we make in our private world improves the world at large for everyone. We all float on the collective level of consciousness of mankind, so that any increment we add comes back to us. We all add to our common buoyancy by our efforts to benefit life. It is a scientific fact that what is good for you, is good for me. Love everyone and everything at all times... including yourself, no matter what. What the mind believes... the body expresses. When we heal something in ourselves... we heal it for the world. The thing you set your mind on, is the thing you ultimately become. We create every so called 'illness' in our body. The body, like everything else in life, is a mirror of our inner thoughts and beliefs. The body is always talking to us, if we will only take the time to listen. Every cell within your body responds to every single thought you think and every word you speak. Aim not for what you are... but for what you could be. I don't know exactly where ideas come from, it's just a matter of us figuring out how to receive the ideas waiting to be heard. When there is integrity, an entirety, a wholeness, in what you say and do, you are consciously resurrecting the incredibly powerful success mechanism you used instinctively from the time you first came to be. Nothing constructive and worthy of man's efforts ever has or ever will be achieved except by that which comes from a positive mental attitude, based on a definiteness of purpose and activated by a burning desire, and acted upon until the burning desire is elevated to the level of applied faith. 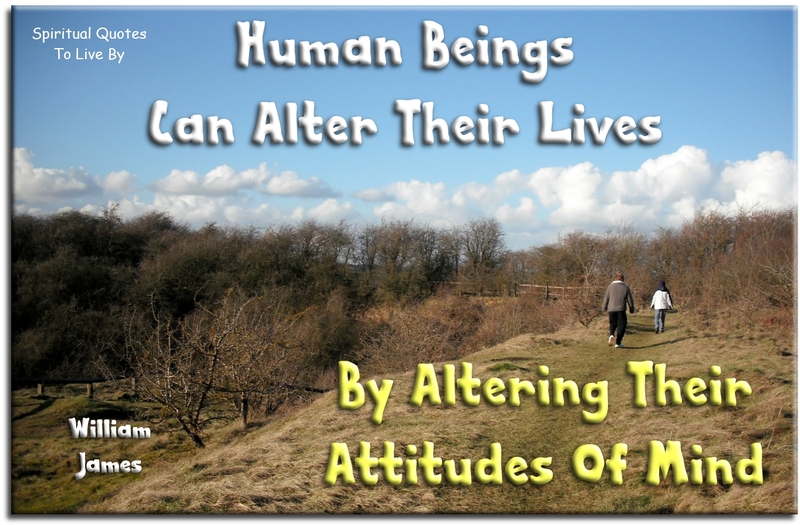 The vast majority of people are born, grow up, struggle, and go through life in misery and failure, not realizing that it would be just as easy to switch over and get exactly what they want out of life, not recognizing that the mind attracts the thing it dwells upon. 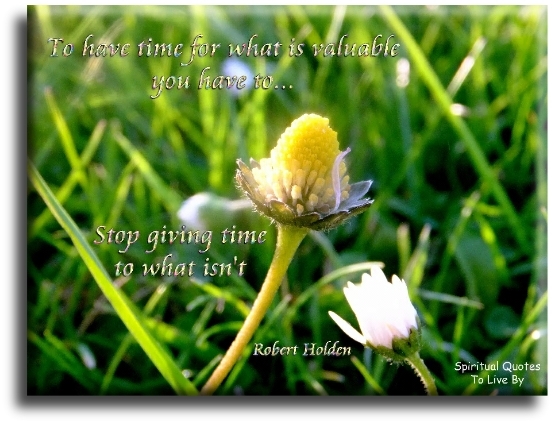 Happiness doesn't come and go, what comes and goes is your attunement to happiness. 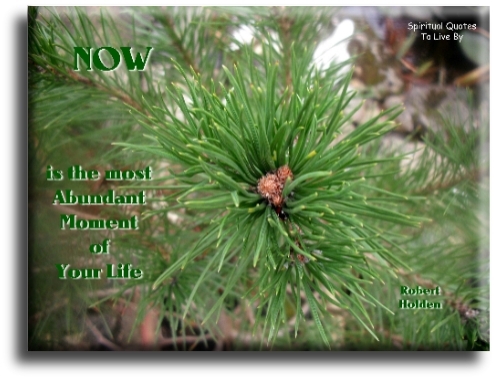 NOW is the most abundant moment of your life. 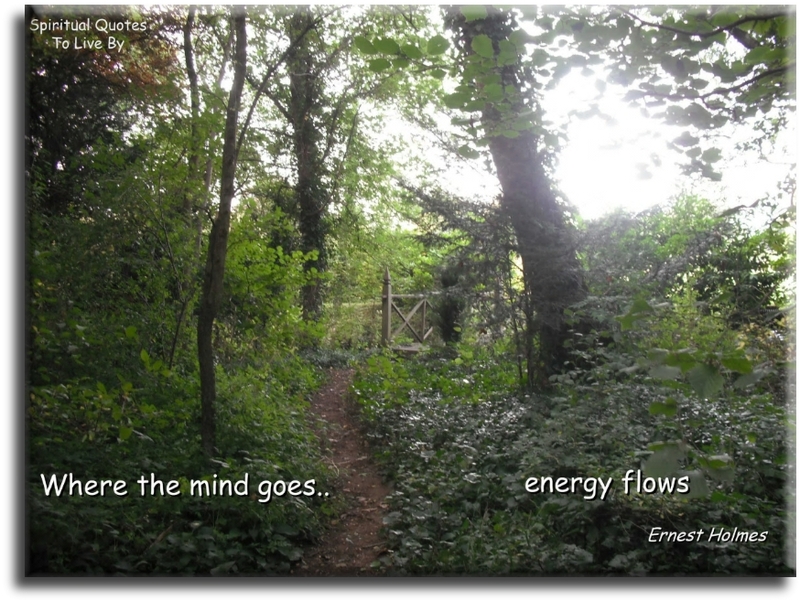 Where the mind goes... Energy flows. There is nothing like a dream to create the future utopia today... flesh and blood tomorrow. Our thoughts and emotions affect the hearts magnetic field, which energetically affects those in our environment, whether or not we are conscious of it. Believe that life is worth living... and your beliefs will help create the fact. Why should any phenomenon be assumed impossible? The Universe begins to look more and more like a great thought, than a great machine. 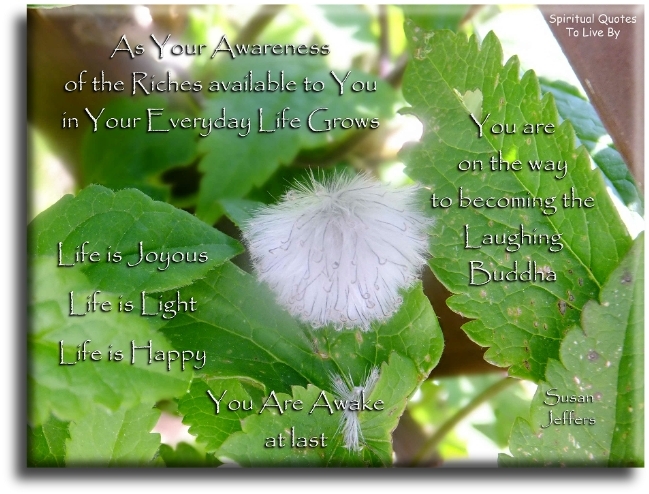 As your awareness of the riches available to you in your everyday life grows, you are on the way to becoming the laughing Buddha. Life is joyous. Life is Light. Life is happy. You are awake at last. Everyone in your life is a 'practise person.' How you react to them allows you to see what you have to work on within yourself. 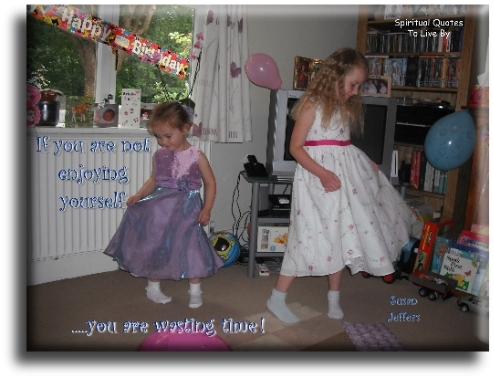 If you are not enjoying yourself, you are wasting time. Open your eyes, whether you presently believe it or not, your life is already abundant. Before you can accept abundance in your life, you have to notice it. Your joy, your happiness, your satisfaction and your ability to dance with life, depends solely on what you pay attention to. My mum's photo of the Cavendish family, we lived in the same village when I was little.